Jewelry inspired by nature is not hard to come by. Flower and seashell rings, dolphin necklaces, and bird-in-flight earrings are common, but what about the composition of everything in nature? Raven Hanna creates jewelry centered around exactly that: a jewelry line devoted entirely to molecules, called MadeWithMolecules. Hanna is a self-proclaimed “scientist-turned-artist.” While many artists struggle to find their niche, the idea for molecule-focused jewelry came to Hanna while reading a book about neurotransmitters. A picture in the book depicted the serotonin molecule. It stood out to Hanna as beautiful – both in an aesthetic and symbolic sense – and she wanted a necklace to highlight that molecule. “We all could use a little bit more of just like, ‘I’m OK, I’m satisfied, I’m happy, everything is good,’ which is what serotonin brings,” said Hanna. Hanna scoured the Internet in search of a serotonin-molecule necklace, but to no avail. Having kept a sketch book for years, she decided to take it upon herself to create the serotonin-shaped necklace, which is now her best-selling jewelry piece. She acquired her undergraduate education from the University of California, Santa Cruz, graduate education from Yale University, postdoctoral education from UC Berkeley, and another year of postdoctoral studies classes back at UCSC. Hanna discovered during her postdoctoral studies that she was unhappy doing laboratory work. On a trip to Hawai‘i after her three-year post-doc, she looked out into the Kaua‘i ocean and thought, “Wait. I don’t want to be a scientist, I want to communicate science.”While she originally aspired to become a scientist, she loved the idea of being a science communicator more. “[The experience on Kaua‘i] really changed the course of my professional life,” said Hanna. Little did she know the serotonin necklace she created would unlock the opportunity to communicate science in a creative way. Friends urged Hanna to sell her jewelry. She first took the idea of opening a jewelry business seriously when a high school girl approached Hanna about the necklace in a Gap store. “It suddenly occurred to me, ‘Oh my gosh, I’m giving someone a science lesson in a Gap store in a mall. This is science communication!’ It sort of struck me that this thing that I had made was [the] science communication that I was looking for, because I was looking for creative ways to communicate science,” said Hanna. Hanna was making a living off of the MadeWithMolecules jewelry line in San Francisco when she came to a sudden realization. Hanna finally moved to the quiet town of Pāhoa on the Big Island last October in search of a place that enabled her to live off the grid, closer to the land and a more “green” lifestyle. She still is involved with science writing, freelancing for Stanford University and UC Berkeley. But, less than two years after founding the company in 2005, Hanna committed herself to working full-time onMadeWithMolecules. “I am spending more than full-time hours doing it!” Hanna said laughingly. Hanna takes custom jewelry orders as well. What’s the most unusual request she’s had? A chemist on the team of Viagra inventors ordered sildenafil citrate, the drug sold as Viagra. Other molecules available for purchase are dopamine, caffeine, theobromine (chocolate), resveratrol (red wine) and estrogen, among many others. 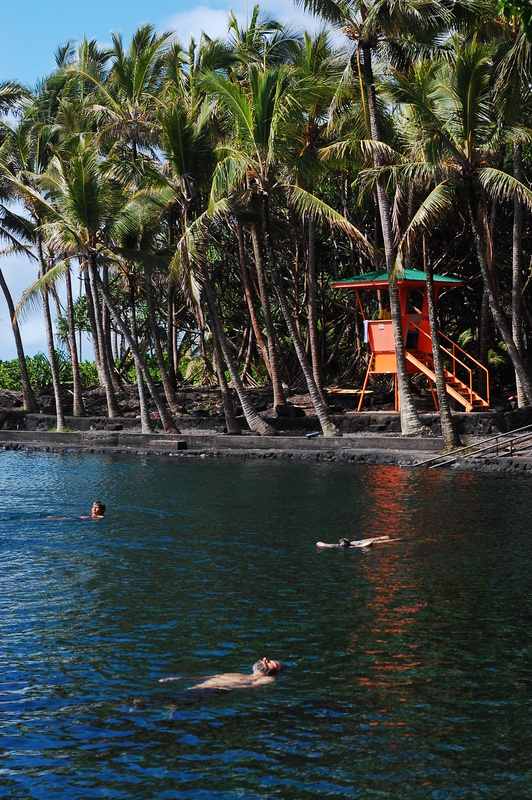 Ahalanui Park, home to a volcanically-heated brackish hot pond, is the perfect place to relieve stress without having to pay the costly fee of a spa or sauna. Most people are attracted to the Ahalanui Park pond for the stress-alleviating properties of the warm water that is much akin to a hot tub. However, there are also many picnicking families who enjoy the family-friendly atmosphere of the park. Benches provided for picnicking families. Fish share the pool with waders, let in through a small inlet that connects the pond to the ocean. Usually there are one or two snorkelers, though there are mixed reviews on the quality of snorkeling at the park. Some days it is too dark to see much. 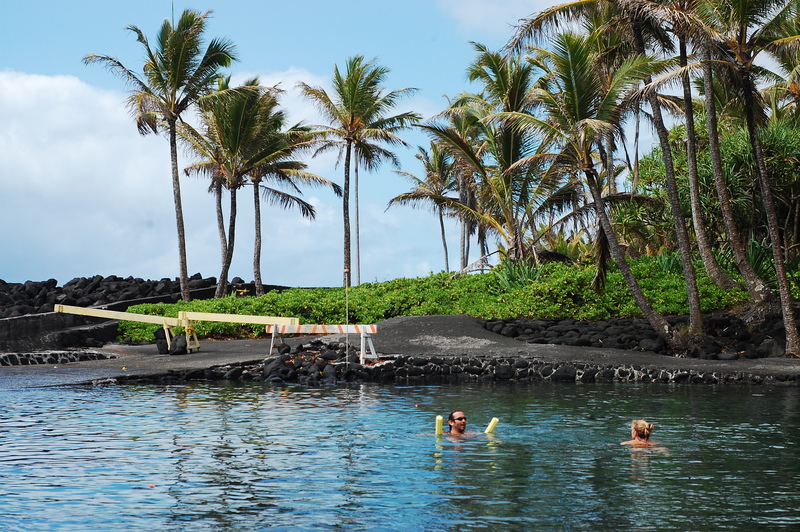 Inexperienced swimmers should be cautious and watch out for the lava rock at the bottom, which can be mossy and slippery. The temperature of the pond, locally referred to as simply “the warm ponds” or “hot ponds”, can reach 90 degrees, according to Hawaiiweb.com. 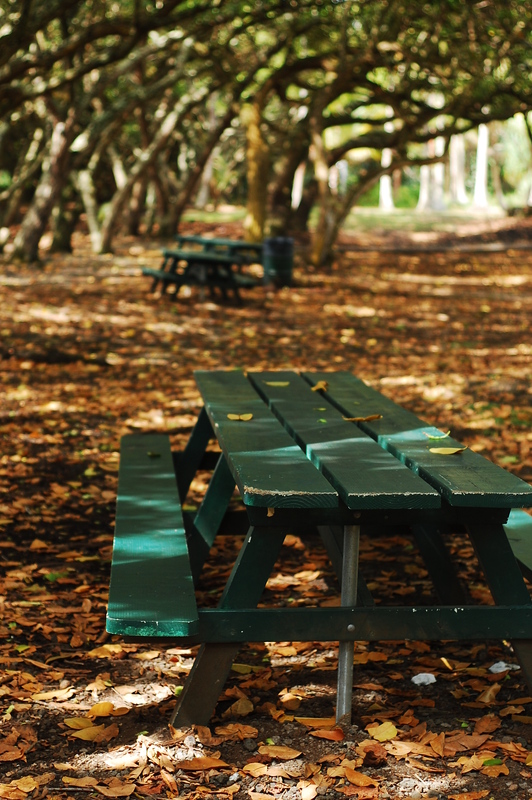 Restrooms, picnic tables, and barbecue grills are among the amenities offered at this little beach park. Quiet waters to rejuvenate the soul. The park is open to the public and a lifeguard is on duty almost daily. Musicians, dancers, yogis and yoginis harmonize their beats to form an unlikely band Sundays at Kehena Beach on the Big Island. Citizens of Pahoa and a few visitors who have strayed off the beaten track play flutes, beat on bongo drums and strum guitars every week on the unofficial “drum circle” day. Uninhibited souls dance to the smooth beats, and yoga enthusiasts sync their asanas (yoga poses, for the less yoga familiar) to the tunes. Did I mention that approximately half of the partakers are buck naked? Kehena, located in the Puna district of Hawaii, is one of the few beaches in the state of Hawai’i that is considered a clothing optional beach. 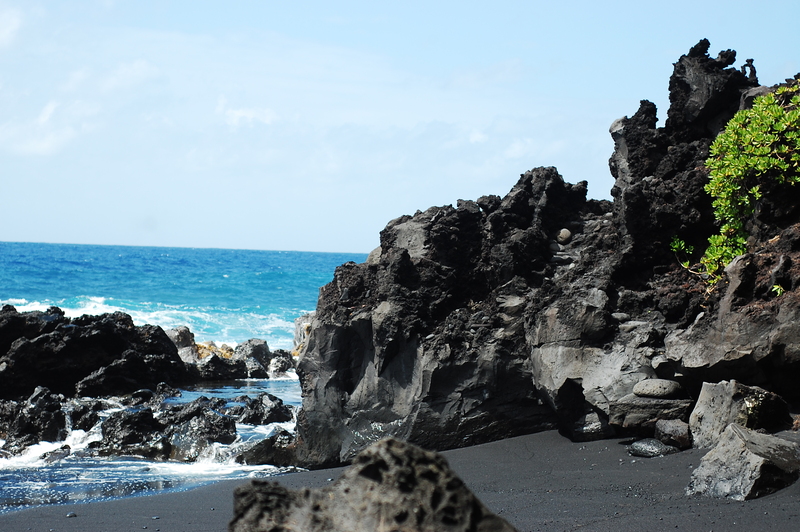 The black sand beach welcomes all beachgoers: short, tall, big, small, those in bikinis or board shorts, and yes, even those who prefer to go au naturel. Meeting some really funny characters is inevitable on the shores of Kehena. People from around the world visit, enamored with the secluded location and easygoing aura. Don’t worry though, the general atmosphere of the beach is friendly. It is not uncommon to be offered a freshly-cracked coconut or to be the recipient of someone’s surplus of papaya or mountain apples. On good days, dolphins can be seen frolicking through the waves. Some strong swimmers take advantage of the opportunity, grab their snorkels and swim out to see the dolphins up close. And, if you’re really lucky, you may be able to catch a glimpse of a whale jumping out of the water. However, the current at Kehena is not to be taken lightly. Caution is urged when the waves look choppy. A California man drowned in the ocean in December 2006, according to a media release on the Hawaii Police Department website. Despite the possibility of the occasional rough day, the surf at Kehena can be calm and swimmer-friendly. Crowds of people wade in the water for instant refreshment on warm, sunny days. Trees create cool, shaded places to lounge for the ocean-shy, while other treeless areas satisfy sunshine-hungry sunbathers. Making the trip to Kehena is a unique and rewarding experience. Forget about the fast-paced world, listen to the waves caressing the shore, slow down a bit and melt into the laid-back Hawaiian lifestyle. This is volume 3 in the Pahoa Digs series. Interested in reading previous installments? Pay a visit to kaleo.org or harleydiven.wordpress.com for the full series.